An exciting new tool for everyone involved in musical theatre. THE RODGERS & HAMMERSTEIN MUSICAL SCENE STUDY GUIDE is the first book of its kind. While there are many scene study books for plays, this is the first one for musicals. Featuring both comic and dramatic scenes and songs from 10 R&H musicals, this guide is the essential tool for the purpose of musical scene study work. This book contains a total of 22 scenes from Oklahoma!, Carousel, Allegro, South Pacific, The King and I, Me and Juliet, Flower Drum Song, The Sound of Music, State Fair and Cinderella. Each scene includes an introduction to the musical from which it is taken, a description of the characters involved in the scene and a note about the preceding dramatic circumstance. For each scene, the dialogue, stage directions, lyrics and piano/vocal score for the song are included. 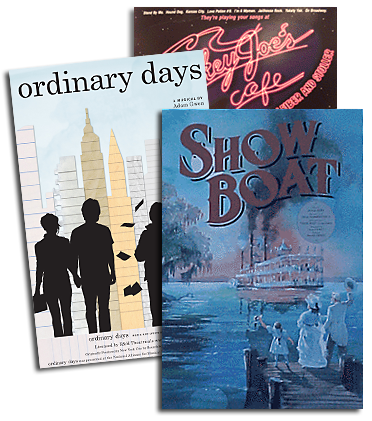 THE RODGERS & HAMMERSTEIN MUSICAL SCENE STUDY GUIDE is a fundamental tool for any and all serious musical theatre students - from high school, college and university to community theatre and professional training programs. It is also a must-have for all levels of music and drama teachers as well as vocal and acting coaches. This book belongs on the shelf in every high school, college and university drama department and in any theatre dedicated to developing the talents of its musical theatre performers. It is the perfect tool with which to study character development, lyric analysis and musicality, whether for auditions or performance. This Scene Study Guide has been compiled and edited by Tom Briggs, who served for over a dozen years as the Director of R&H Theatricals. As a librettist, Tom's credits include the stage adaptations of State Fair, Cinderella and EASTER PARADE. Tom currently serves as the Executive Director of the Thalian Association in Wilmington, North Carolina. Published by Applause Books, THE RODGERS & HAMMERSTEIN MUSICAL SCENE STUDY GUIDE will be available at bookstores and online retailers in July.